SAN FRANCISCO – He blazed bright as lightning at his peak, but also had struggles with addiction and depression. The cosmic and comic Robin Williams died on August 11th, apparently of suicide due to asphyxia, according to authorities, although complete details are still pending. The Academy Award winner was 63 years old. Williams was known for his whiplash speed as a stand up comic, often shifting several times and doing different characters in minutes. His improvisation was legendary, on stage, TV and film, and he portrayed a wide range of characters both comic and dramatic. He began his career on television in the mid-1970s, and soon found superstardom in that medium as Mork, a space alien living with a earthbound girl in “Mork & Mindy.” He made a natural transition to films, and continued to thrive on the stand-up stage – with several one man shows – and was a prime mover for the charity “Comic Relief,” which has raised $50 million to aid the homeless. Robin Williams was born right here in Chicago in 1951, but grew up in Bloomfield Hills in Michigan, and attended high school in California near San Francisco – where he later made his home. At the age of 22, he was accepted into the prestigious acting program at Julliard in New York City, and went to Hollywood three years later. After working first in TV on the short-lived “The Richard Pryor Show,” producer Garry Marshall gave him a one-shot role on the sitcom “Happy Days” as Mork from Ork, an alien that bedevils the lead character of Fonzie. After word got around that Williams had done his entire role without a script, Marshall spun off the character on the series “Mork & Mindy.” Williams career took off like a rocket from there, as the wacky and improvised show was extremely popular. Williams made a surprising transition to film, choosing to bury himself under makeup for “Popeye” (1980) and doing the risky title role in “The World According to Garp” (1982). After establishing his acting credibility beyond comedy, it was the manic disk jockey in “Good Morning, Vietnam” (1987) that earned him his first Best Actor Oscar nomination, with a second nomination two years later for “Dead Poets Society” (1989). The 1990s were memorable, as Williams took high profile roles in “Awakenings” (1990), “The Fisher King” (1991), the voice of Genie in Walt Disney’s animated “Aladdin” (1992), “Mrs. Doubtfire” (1993), “The Birdcage” (1996) and “Good Will Hunting” (1997), for which he won the Best Supporting Actor Oscar. 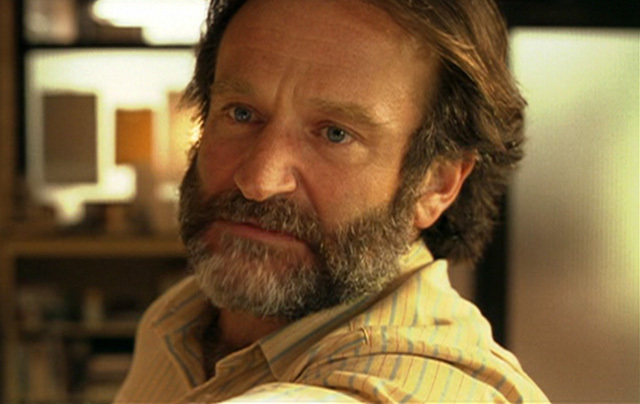 The 1990s also had a couple of films that were famously derided, as Williams played a comic doctor in “Patch Adams” (1998) and a strange robot in “Bicentennial Man” (1999), but the popular actor ignored the critics and soldiered on, creating great performances in independent films like “One Hour Photo” (2002) and “World’s Greatest Dad” (2009), plus going back to voice-over in “Robots” (2005) and the “Happy Feet” animated film series. The well-received “Night at the Museum” films also introduced him to a younger generation in his role as a Rough Rider-style Theodore Roosevelt. His stand-up comedy career was just as successful, as his quick flip-the-page style had both fans and critics. 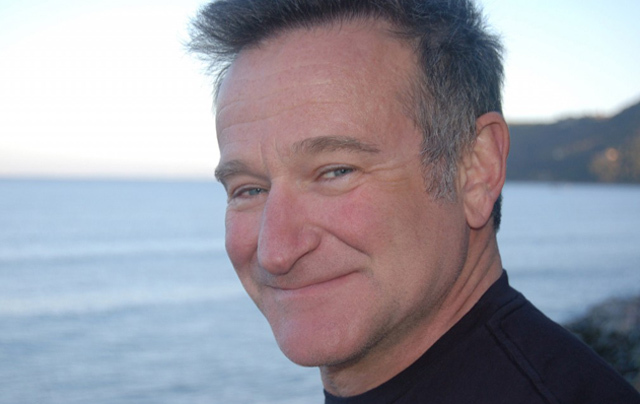 His “Robin Williams LIVE on Broadway” in 2002 broke records for a comedy show, and Williams even acted in live theater in productions of “Waiting for Godot’ (with Steve Martin) in 1988 and a Broadway debut in “Bengal Tiger at the Baghdad Zoo” in 2011. Through all this show business success, Williams also suffered from addiction to cocaine and alcohol, with several stints in rehab – the last one as recently as this year. The news of his apparent suicide was accompanied with the information from his media representative that “he had been battling severe depression of late,” and that “this is a tragic and sudden loss.” He is survived by his third wife, Susan Schneider, and three children from his previous marriages. Source material for this article came from Wikipedia, imdb.com and CNN.com. Robin Williams, 1951-2014.